Home » Knives » Spyderco Paramilitary 2 Review – Worth Buying? 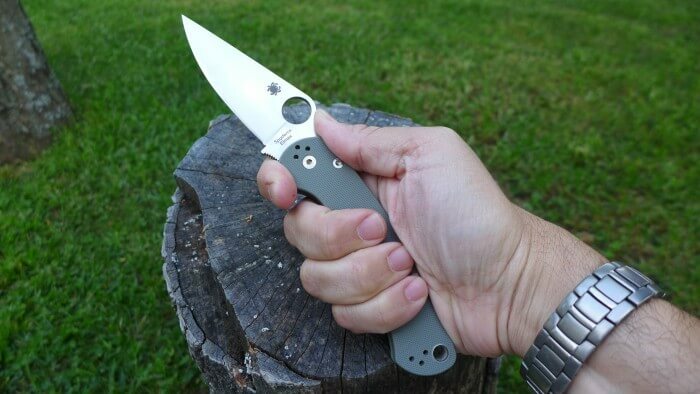 Spyderco Paramilitary 2 Review – Worth Buying? I've been collective folding knives for a decade now. I've purchased hundreds of knives for my EDC collection. Spyderco is definitely among my top brands for pocket knives. Last year, I ordered Spydero Paramilitary 2 and now I want to share my experience with everyone who is looking forward to purchase this knife. I'm going to be totally unbiased, and will not exaggerate ​the stuff in any manner. My Spyderco Paramilitary 2 Review will not be one sided. I will share both the pros and cons and my personal thoughts on the knife itself. Spyderco Paramilitary is a military knife model. It's a sturdy knife with extremely hard & razor-sharp blade along the comfortable handle. It boasts a flat-ground CPM-S30V blade with an easily indexed 14mm Spyderco Round Hole for gloved or large hands. Apart from that, this knife has some real good design and looks which makes it an excellent knife. Spyderco Paramilitary's blade is consist of CPM-S30V stainless which is an excellent steel. The length of the blade is 3.44 inches & thickness of the blade is 0.15. It comes with a compression lock like a liner lock and located on the spine of the knife. Therefore, it becomes almost impossible to close it with one hand. Now, it may be considered as a con/disadvantage, but it eventually reduces down the chance of an accident. The blade is super solid ​like a military blade should be since it would be used for rough tasks as well. Since the blade of Spyderco Paramilitary is consist of awesome S30V blade, therefore, it is more refined, longer lasting–heck, sharper–edge as compared to other knives. ​The blade is exclusively made is U.S.A which makes it more reliable. 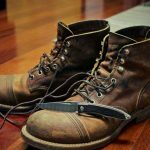 Blade is pretty easy to sharp & worked well when used it for rough tasks that include cutting rope, and logs. Spyderco Paramilitary Review - Blade's Rating. Best Blade Ever, Razor Sharp. Tough to fold with one hand. 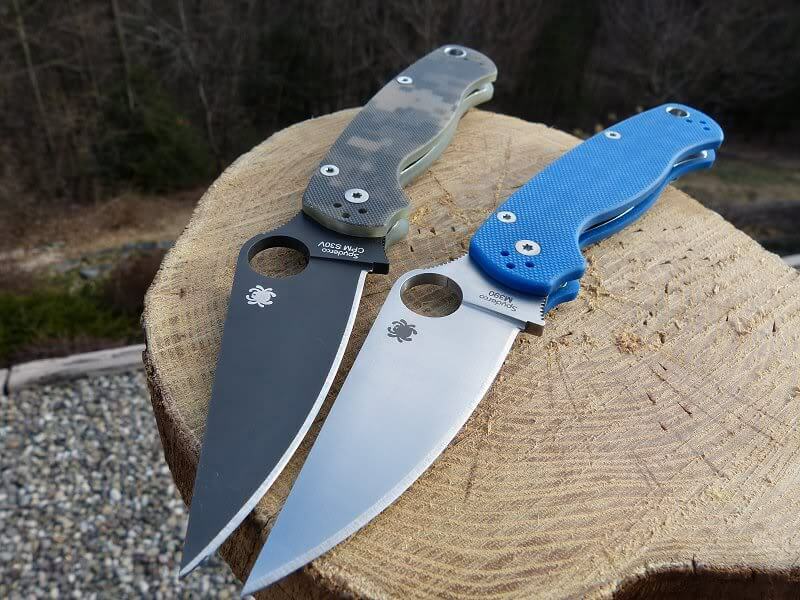 ​Spyderco Paramilitary is made of G-10 material. G-10 handle is one of the finest handles. The overall length of the handle is 4.8 inches. The G-10 handle is constructed of stainless steel liners. The curves on the handle provide superior control and prevents slippage from the handle. The weight of Spyderco Paramilitary is 3.75 ounces which can't be considered heavy at all, lightweight. The handle feels quite comfortable in the hand, and it gives secure grip. So, it has got good ergonomics. It comes with a silver clip that can be positioned in 4 ways, and tucks all the way inside pocket very tight. The clip of the knife is long in the size, and good enough to glide in your pocket and stick to it like glue. The clip is reversible for tip down or tip up, tip right, and tip left. No Cons here hands down! The deployment system of the knife is supported with a compression lock up system, like discussed earlier. The deployment system is such a lubricant due to the improved bushing pivot system in the lockup area of Spyderco Peramilitary. Put your finger inside the hole & it will open with the blazing fast speed. Moreover, it doesn't feel like pushing it hard when deploying the blade since it has got nice lubrication done on it. However, it will be a little hassle to close the knife (fold in) with a single hand until & unless you're really familiar with knives. Requires experience to fold the knife with a single hand. So, this is all about Spyderco Paramilitary. I've discussed about blade, steel, handle, ergonomics, lockup, and deployment system of the knife. The blade is made of S30v stainless steel which is really an excellent stuff at such lower prize along rock-hard & comfortable G-10 handle. The curves on the handle not only helps​ to make a grip, but also makes it look better. The hole on the blade could be a concern for few people, but I personally love it and it becomes easy to open the blade using that hole. The size of the knife is 8.28 inches which could be considered​ around 1 inch long than normal EDC size knives, but if you're a big size or medium size guy, then it shouldn't be a big deal. Pros: Comfortable Ergonomics, Excellent Blade, and Good Deployment System. Cons: Folding the knife with one requires experience. Affiliate Earnings Disclosure Waspknife.com is a participant in the Amazon Services LLC Associates Program, an affiliate advertising program designed to provide a means for sites to earn advertising fee by advertising and linking to Amazon.com. Best Whittling Knives (2019) For Money? 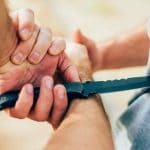 Best Boot Knives For Police & Defense in 2019! 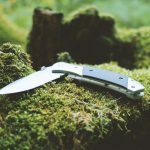 20 Best Pocket Knives 2019 For EDC!